Lately I have been reading a lot of thrillers and more heavy duty novels, and not that she writes fluff (far from it) but there is something so satisfying about a book with a happy ending! In this heartwarming story, Stella, Bea and Daisy will discover that the path to true happiness is filled with twists and turns, but love always leads them back home (summary from Goodreads). While this book was a little heavier than I might have liked, that didn’t stop me from enjoying it to its fullest and I was thrilled with the way the book ended—-no spoilers just know that even if this book is a little emotional at times, it was worth the read! I loved how the story of three women and their journeys were realized. As a younger reader (late teens and early twenties) I often by passed women’s fiction or books like this, mostly because I didn’t feel like I could relate to the characters. Now as an adult in my late thirties, I can totally relate to many of these characters and their journey’s and can appreciate it more than I ever could as a younger woman. What I loved about this book was not just the journey for each of the characters but the theme of love in this book. Not just romantic love, but the power of love in general whether it be romantic love, familial love, or self love. I felt encouraged and happy about this book even if at times my heart broke for some of the characters. This was a lovely book and one that I really enjoyed the more that I read it. It would be a perfect beach/vacation read or just something to read on a lazy summer day. 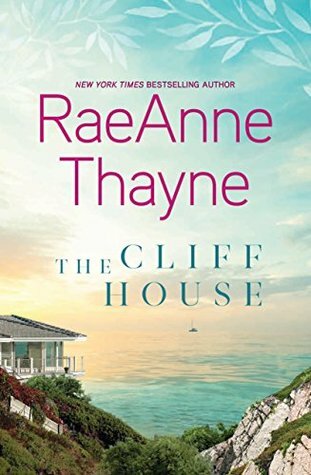 Thayne is a fabulous writer and you can’t go wrong with any of her novels! Free review copy provided by publisher, HQN Books and Little Bird Publicity, in exchange for an honest review. All opinions are my own and in no way influenced. This sounds really lovely. Adding it to my TBR!